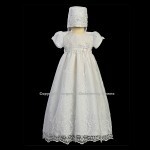 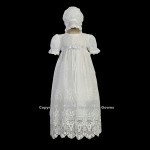 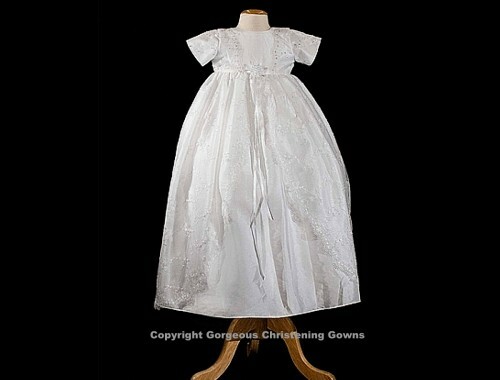 This exceptionally beautiful Taffeta short sleeve christening gown is accented by a beaded embroidered lace overlay. 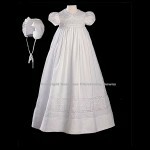 The gown has a split apron style skirt which is finished with a beautiful scalloped edging. 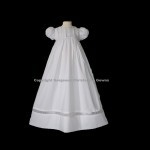 The waist is embellished with a rosette.